Hello all...the weekend is here again so let's get crafty. Anybody who reads my blog would know that I started this post last week and I am now going to be making it into a weekly post every Sunday or Monday. It's going to be a coverage of the projects I have been doing in the weekend. 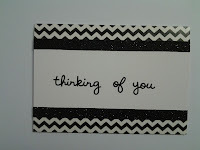 It could be about anything from card making to items for home decor. So this weekend it was card making again, and now that I am getting into the hang of this I feel that my own design and inspiration is starting to flow more freely. 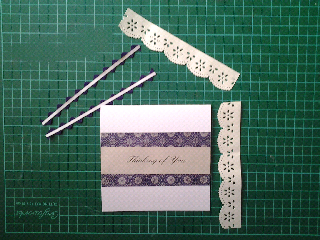 So I started with these items - paper lace trim, purple wavy trim, ornate decorative scrapbook paper, cream metallic card stock, and rub-on stamp. Then from there I decided on showcasing the beautiful ornate paper I had used. 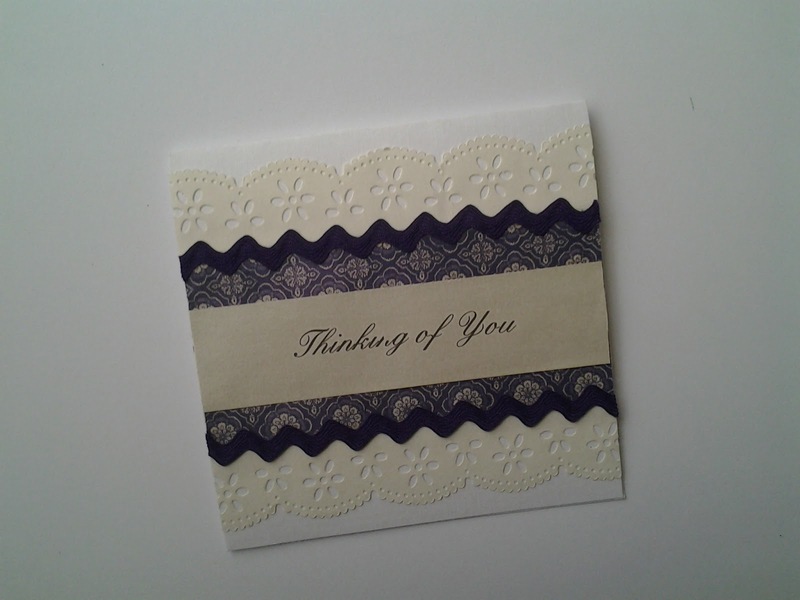 I decided to add the lace paper on the edge then placing the purple trim on top to create a popping colour combination. Eh voila beautiful, elegant, ornate and simple. 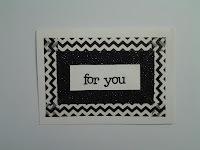 The card is now featured in my shop. Here are some pics of the other stuff I created which can also be found in the shop.